If you clicked on this story, then I’m guessing you need your sartorial thirst quenched with what’s au courant on the style circuit but simply don’t have the time to riffle through the influx of autumn trends coming at you faster than a targeted Google ad. Well, you’ve come to the right place, my friends, because it’s my job as a fashion editor to dissect the plethora of fresh spring trends and brand-new pieces landing at your favourite retailers to bring you the only ones that matter right now. Ahead, I’m sharing my CliffsNotes on the essential pieces to add to your cart based on wearability and what’s trending—because who didn’t love breaking out the CliffsNotes at school when there was no time to read all the assigned literature? Consider this your guide to staying up to sartorial speed, no test prep required. Beige is anything but boring this season. It's trending all over Instagram right now and is the most wearable hue to come out of the spring runways. Go head to toe and mix various shades and textures—from ecru to stone, camel to cream. Layering a multitude of hair clips into your effortless locks is a fashion-girl must this season. Play with colours, textures, and sizes. Just one scroll through your feed, and you'll see fashion girls everywhere donning pearl earrings of all shapes and sizes. For a modern look, opt for drop pearl earrings that aren't cookie-cutter round. Croc-embossed bags are wildly popular among the style set, a trend that's sticking around for seasons to come. They add a luxurious touch to every outfit. It's never too early to start thinking about warm-weather shoes. 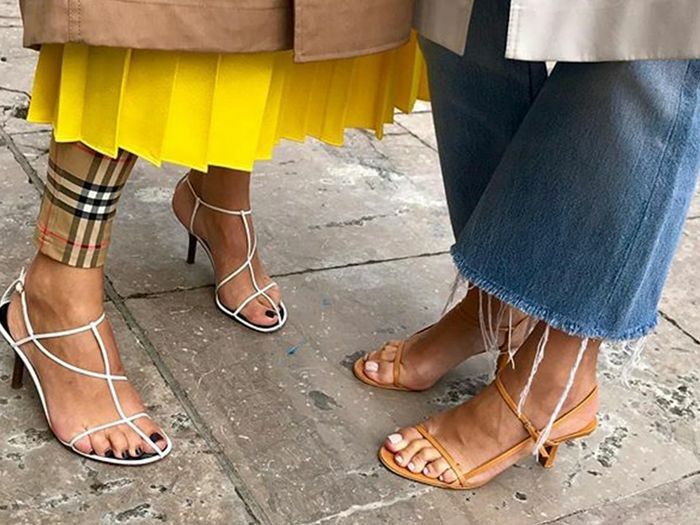 From toe-strap to floss sandals, delicate, strappy versions exude a minimalist-chic vibe and work with practically every outfit. Up next, I found the chicest shoe trends for under $100.